That was the driving motivation for our developers in creating our Custom Fields feature in FeedBlitz. Want to know your subscriber’s first and last name? We’ve got a blank for that. How about their date of birth? There’s a field for that one, too. Possibly throw in their zip code or country? Yes and yes! Now, let’s get started.. In FeedBlitz a Custom Field is any extra information attached to a subscriber beyond their email address. FeedBlitz publishers can create and manage an unlimited number of Custom Fields under Manage Tags and Fields. If interested, you are able to tag a large group of your subscribers by working through the Apply to Subscribers option, also shown below. What can I do with Custom Fields? personalize mailings *Think having Dear _____, as your introduction. How do I add Custom Fields to my SmartForm subscription forms? Once set in your Custom Fields dashboard, you will be able to add these fields in your Smart Form subscription form. You can create these fields with either a simple text answer, as well as multiple choice options requiring either 1 answer or the ability to select multiple answers. Your formerly simple subscription box can now gather all the additional information you’d like! However, be mindful of your ultimate goal when creating your subscription form. 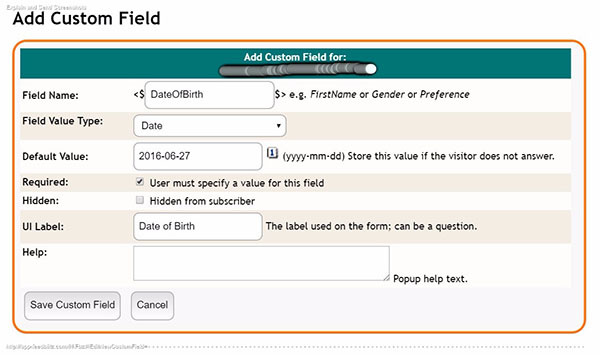 Requiring too much information may cause a subscriber to close the form instead of completing all the fields. Be sure your requests make sense to your site and goal! Pro Tip: Current subscribers can easily update their information by using the Subscriber Update Form in your Custom Field dashboard. Posing it as “a way to better help serve you” is often effective in encouraging subscribers to update their information! It’s important to know that not all Custom Fields are created equal. 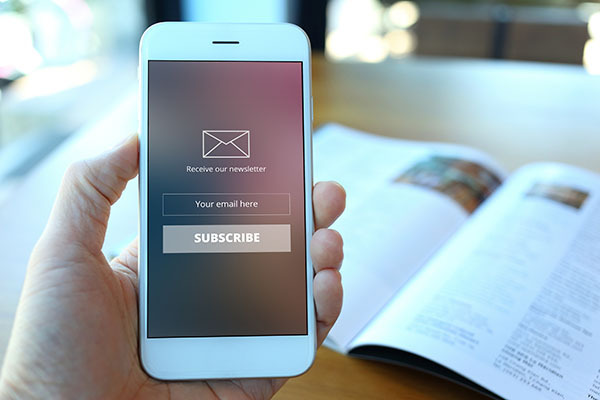 Some can be used to appear in mailings, others can be used simply for segmentation purposes, while still others can be applied without the subscriber having to answer a specific question. We call these hidden fields. Bonus Pro Tip: Do you want to secretly tag your subscribers by using a hidden Custom Field? We have a guide for that right here! Use this brief introduction on Custom Fields as a great place to get started working with new fields. As simple as having a first name to say “Dear ____” or as complex as gathering leads for a real estate agent, there are many, many possible ways to incorporate Custom Fields into your email marketing strategy. Our Support Team is here to assist if needed when inserting fields into your newsletter template, editing smart forms, segmenting users and anything else you may need! Ready to experiment with Custom Fields but still have a few more questions? Send us an email at support@feedblitz.com, chat, check out our Help Forum, or give us a call at 1.877.692.5489. Our Support and Sales Desk is available Monday – Friday from 9 am to 5 pm EST. Easy enough for a blogger to set up in seconds, powerful enough for sophisticated corporate email campaigns, FeedBlitz is an RSS, Email and Social Automation Tool to take your email marketing to the next level. Visit us online to learn more or start your 30 Day Free Trial!